Hi, I’m Sensi! 🙂 & I’m so happy you’re here! If you’re reading this right now, we can probably relate on some level. Perhaps you’re in college like me (I’m a senior) and you need some tips on how to make the best of your college days. You might be interested in tips on how to boost your GPA, shop for your dorm, save money in college, or just need the ultimate college guide to help you out! Besides the basics of college and campus living, you might also be trying to cope with stress and changes in your life that’s testing your patience or your strength. After all, at this point in our lives, things get tougher and we start having to make lots of important and life-altering decisions. This includes decisions about our friend groups, relationships, want we want to do with our lives, and the type of person we want to become. Even if you’re a college grad or older millennial, you may still need some tips on personal growth to become the best version of yourself so you don’t get distracted by negativity. 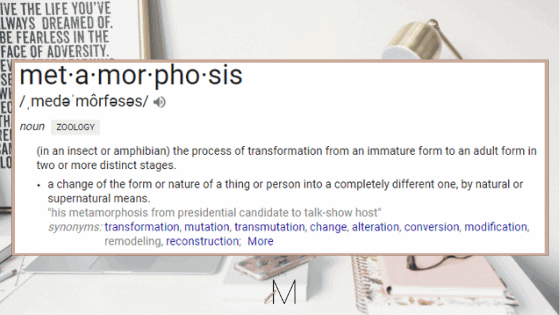 This is where The Metamorphosis comes in. I provide the best tips for being a successful college student and I help you with the growth that comes along with adulthood, and all the struggles we deal with. You may not realize how different factors in your life could be affecting your college experience or life in general, but that’s what I’m here to help you with! I also share the best tips I’ve learned about blogging since it can be very confusing to beginners! Blogging was one of the best decisions I’ve made and I’d highly recommend it to college students! To help, I created a Free 6-Day Ecourse on How to Start a Successful Blog in College! I love singing: I will outperform anybody despite my limited vocals. I’m in my prime in my shower concerts. I’m sarcastic: Sarcasm is honestly my first language. I’d also like to think that I’m funny. I love traveling: I grew up in St. Lucia (Caribbean) and moved to Georgia on November 21, 2013. I traveled 10 times in 2018! Most of my travels so far are domestic because it works with a college budget and schedule, and I also want to see more of the continent (since I’m not from here) before I go abroad. I’m a Pisces: which explains why I live inside my head. Join in on the fun and get access to my FREE Resource Library!